How Digital Billboards help with business growth? The world of advertising has kept changing at a tremendously fast pace due to fast emerging technologies. Several new technologies have emerged in the recent decade that have entirely changed the face of advertising. Digital technology has taken over and most of the game is being played online through digital ads and emails. However, outdoor advertising has not lost its charm fully because of the high exposure it provides to a large audience. Several brands still use Billboards for brand promotion since they are still highly effective. The common billboards you used to see there while driving have been replaced by the digital billboards. Digital billboards act as powerful brand-building platforms for several businesses both big and small and are the ones that account for more than 51% of the market share. It is expected that they will play an even dominant role in advertising in future. Declination of static billboards has propelled the growth of digital billboards because of the higher interactivity they offer. It has replaced the traditional print media advertising as well. Digital billboards have gained a lot of popularity among the industry verticals because it helps the businesses with cost saving. Everyone sees digital billboards in their surroundings like those promoting the opening of a new store or those advertising offers and deals etc… The possibilities are countless. Content: – Digitized screens do a lot of things such as provide dynamic content that is not possible for static billboards. Such type of content is also highly relevant in terms of audience, time duration of the day, event etc… For instance, an outdoor shopping mall utilizes digitized kiosks for advertising & way-finding. Due to the presence of dynamic content and its interactivity, people prefer utilizing digital billboards in comparison to static signage now-a-days. Saving of money: – During the last few years, digitized screens’ prices have fallen down significantly. This is an encouraging sign for the customers who can use the digital screens in a new & innovative manner. 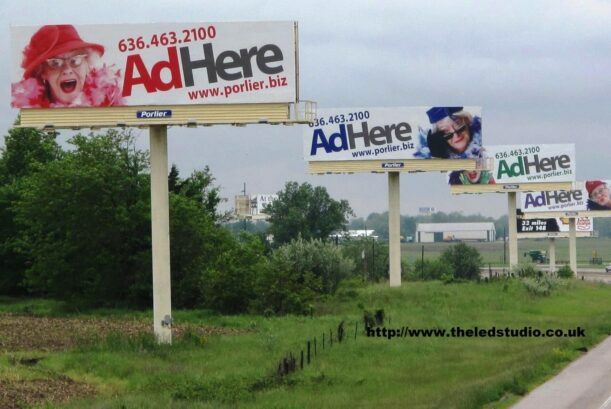 In comparison to static billboards, one will be able to advertise in a cost-effective manner. The major impact of digital screens in the world of advertising can be easily noticed. Retention: – Consumers have an inclination towards digital content in comparison to the static signage. There are several factors behind the same but the main is the tendency of individuals of feeling attracted to color, movement & newness. For instance, in metropolitan areas digital signage is almost everywhere one looks around like real estate, grocery stores, pediatricians, car dealerships, restaurants etc… Such big-size ads increase the retention rates to a high level since people prefer to see a digitized signage as compared to traditional ones. Outdoor Digital Technologies: – The technology used in Outdoor digital billboards has developed a lot offering specified screens designed for withstanding sunlight, wind, high & low temperatures, moisture, water, dust etc… Even, one gets a better viewing experience as the large screens make it easier to read the information on them. Development of Mobile Apps: – Mobile apps are combined with digitized billboards for offering targeted marketing. The advantage of designing and integrating mobile apps is a big competitive advantage for marketers making billboards appealing and flexible. Tech Support: – Digital billboard packages includes tech support that increases client value and allows for maximized markups. Offering Equipment’s: – Using digitized billboard equipment like screens, media players, cabling etc… provides a better experience to the customers. Graphic Design Services: – One biggest advantage for the client is the ability to integrate content into digital billboards. They can add graphics to their service offerings. Flexibility: – Advertisers have the facility to purchase small increments of display time which is not possible in case of static billboards. Digital billboards are the future of advertising. They can help businesses stay ahead of their competitors. In today’s era, many businesses are still using traditional advertising methods. A digital billboard is a new mode of advertising that can prove to be an advantage for everyone. It will help in boosting the product sales as compared to any other advertising mode Furthermore; it leads to a cost-saving and maximized ad exposure at the same time. Try to have fun with the messages as well. Do include branding and unique voice while designing & conceptualizing the digitized signage. To boost the entertainment factor for the customers, allow yourself more creative space and your business. Nobody is interested in waiting. If someone is being entertained, he or she is less likely to notice the wait duration. Researchers have proved that digital billboards minimize client wait time by about 35%. This creates a positive bonding with a store as well as the brand so that shoppers keep coming back. Digital Billboards offer business advertising on continual terms and will work throughout the day. The main thing is that digital billboards are very important and critical for business growth and localized advertising. They act to be more profitable in comparison to others.